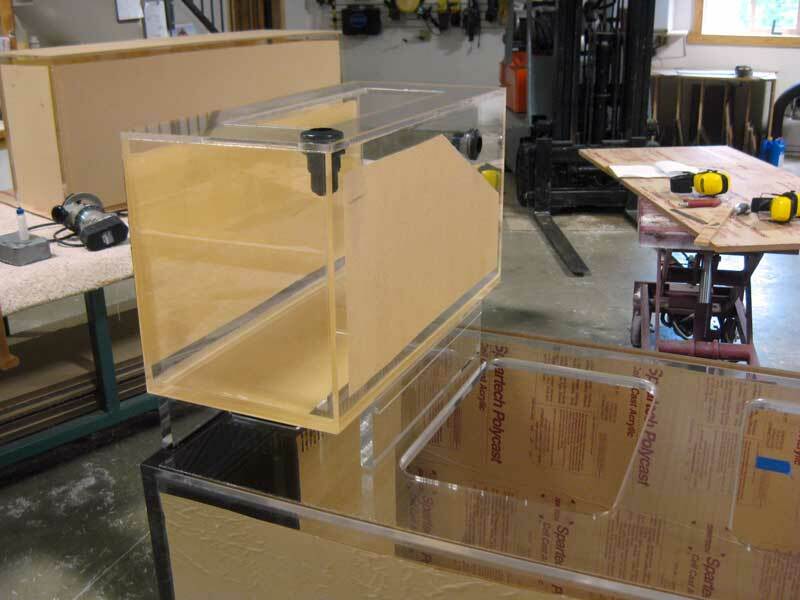 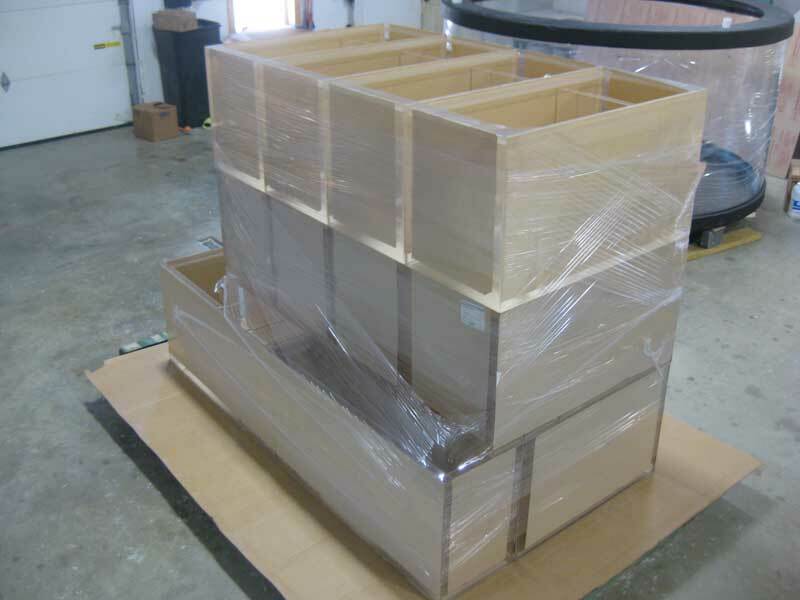 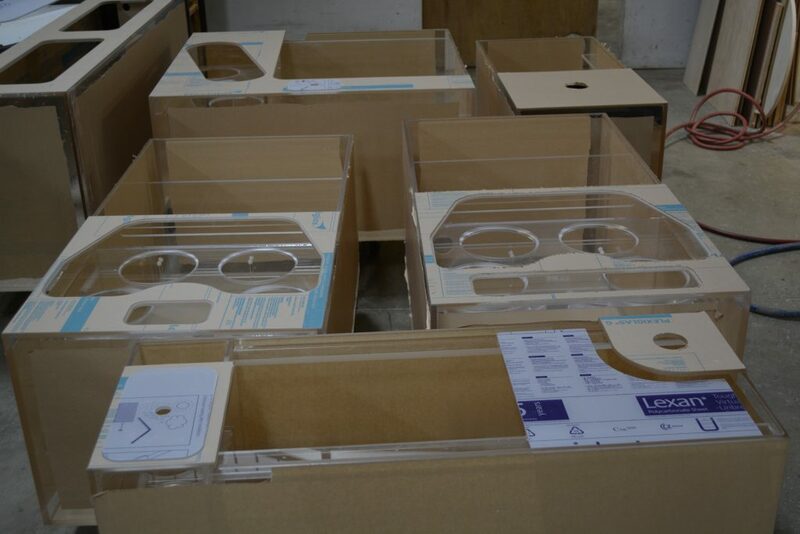 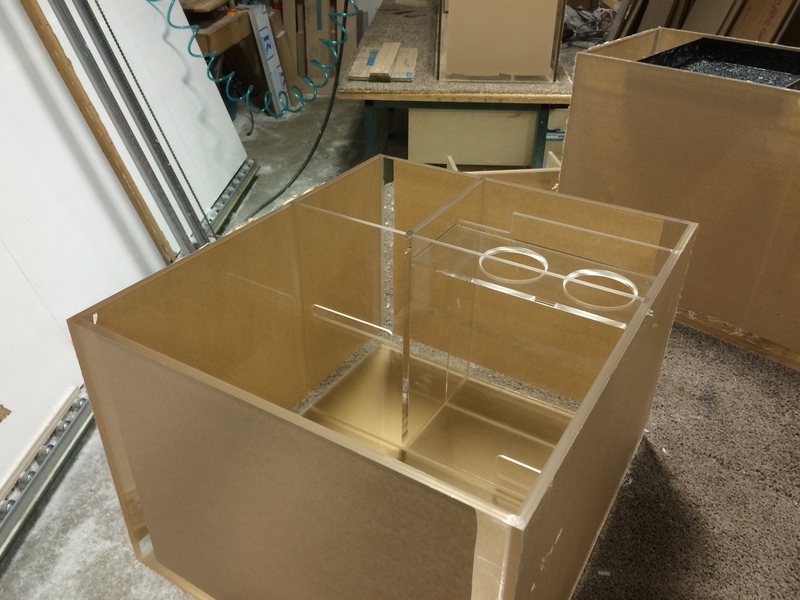 Midwest Custom Aquarium builds a lot of custom filtration components and can manufacture any of them in acrylic such as sumps, wet/dry (trickle) filters, protein skimmers, refugiums, etc. 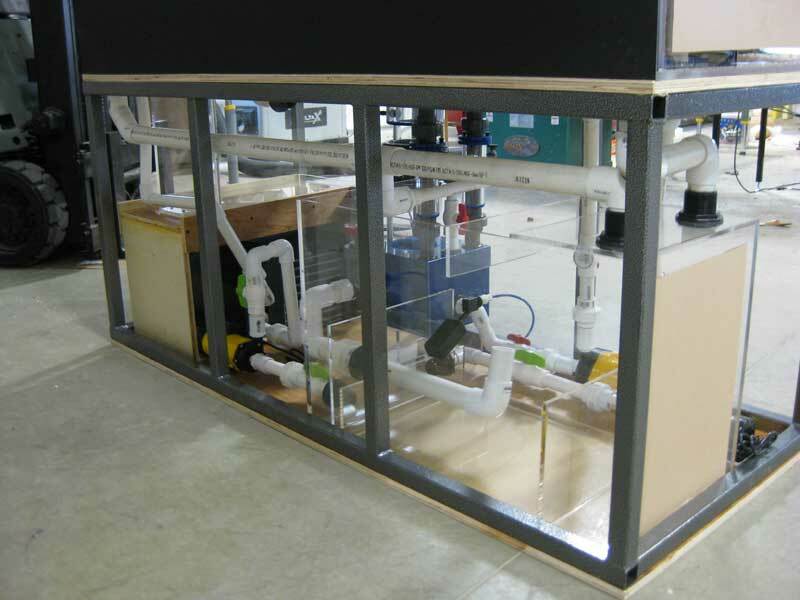 We have our own basic, as well as advanced designs but can easily build to your specifications. 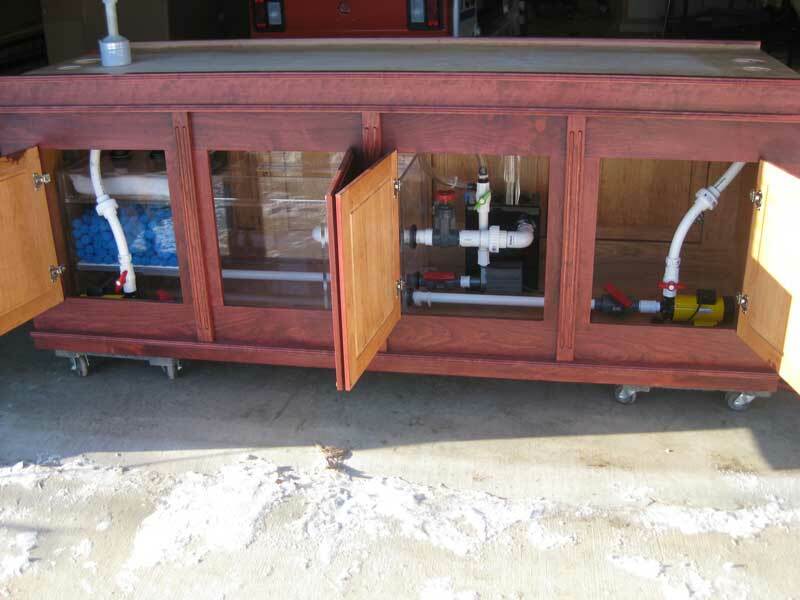 Feel free to send us a drawing for review/quote. 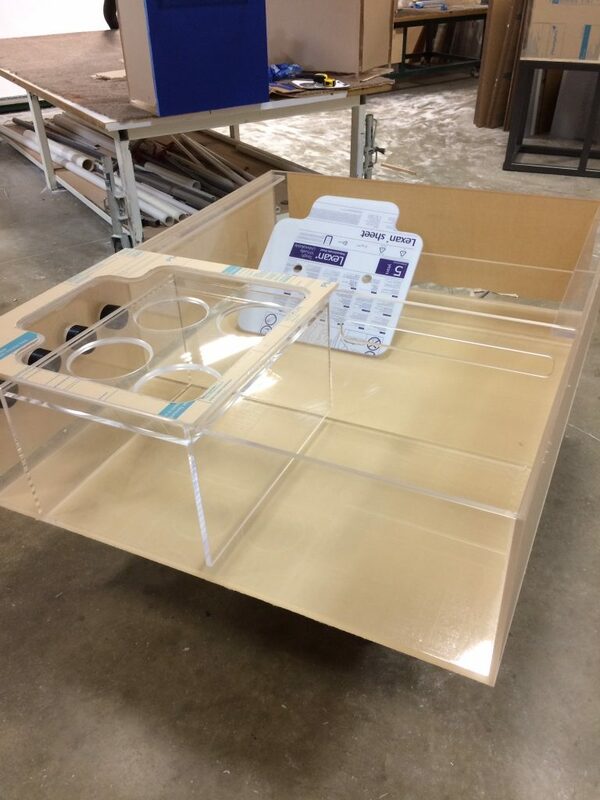 Every one of our acrylic components isbuilt to last, from materials thick enough so that you should never have to replace it. 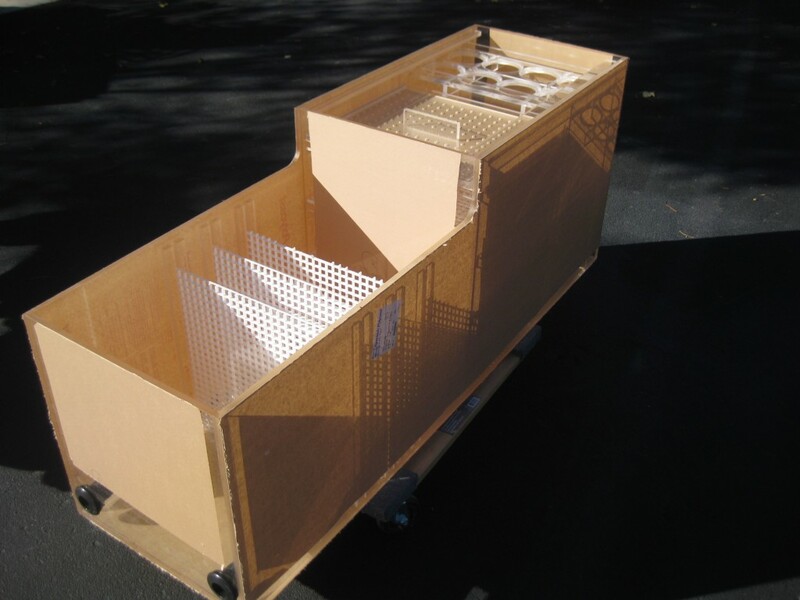 We will not build the thin, cheap, and temporary products that are produced in numbers and sold online. 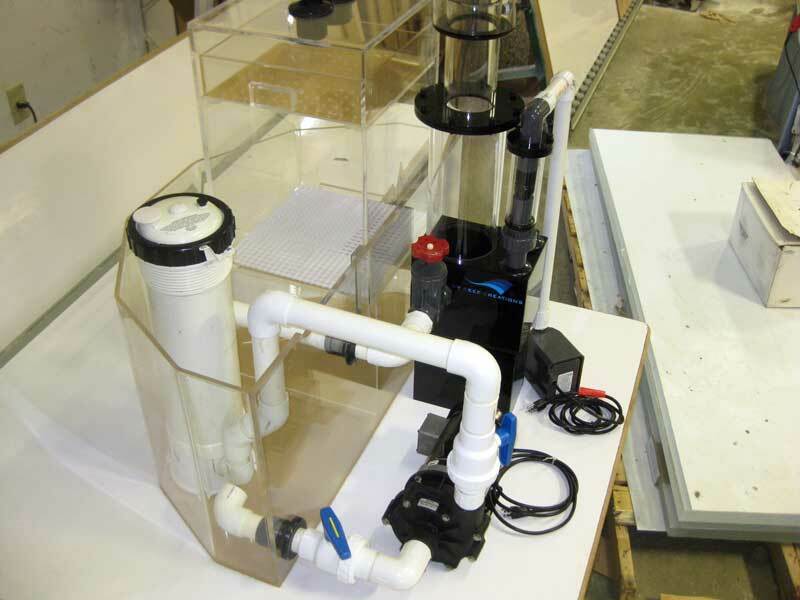 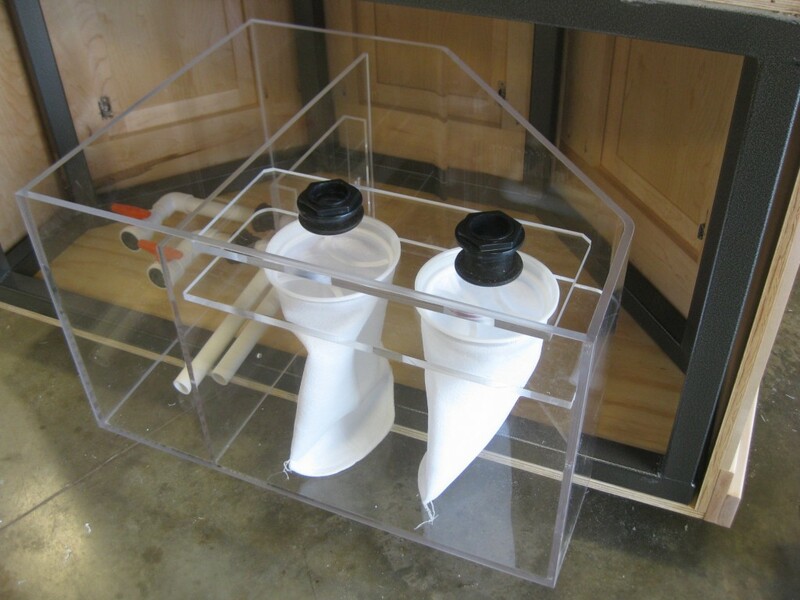 Trickle filters are built with a drawer which holds a prefilter pad and slides out for easy change of the pad. 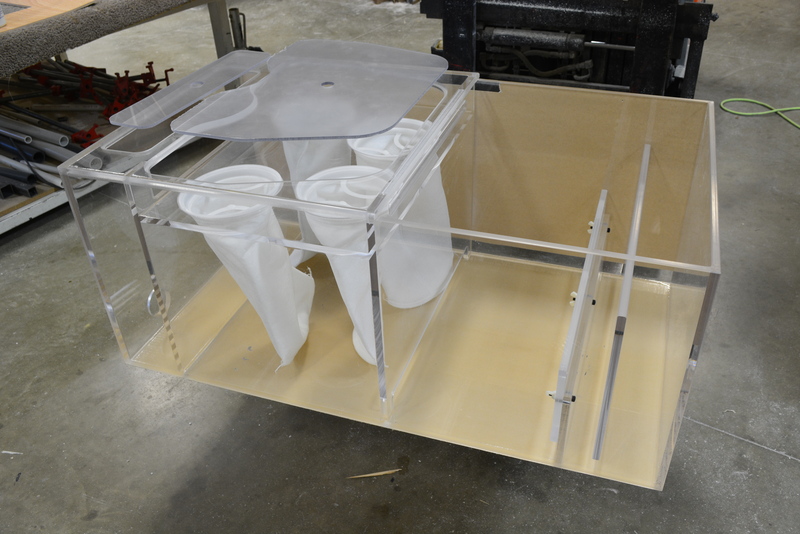 Very user friendly and efficient. 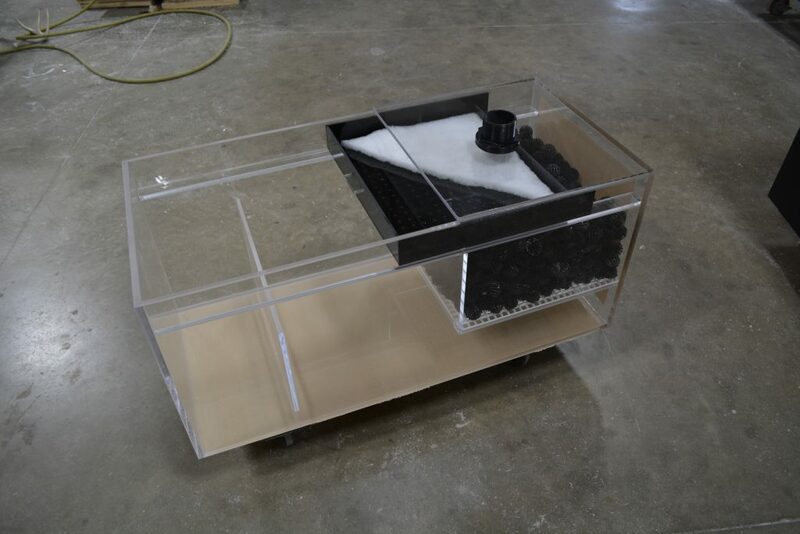 Most sumps and trickle filters are built custom to fit your space in order to maximize the holding capacity. 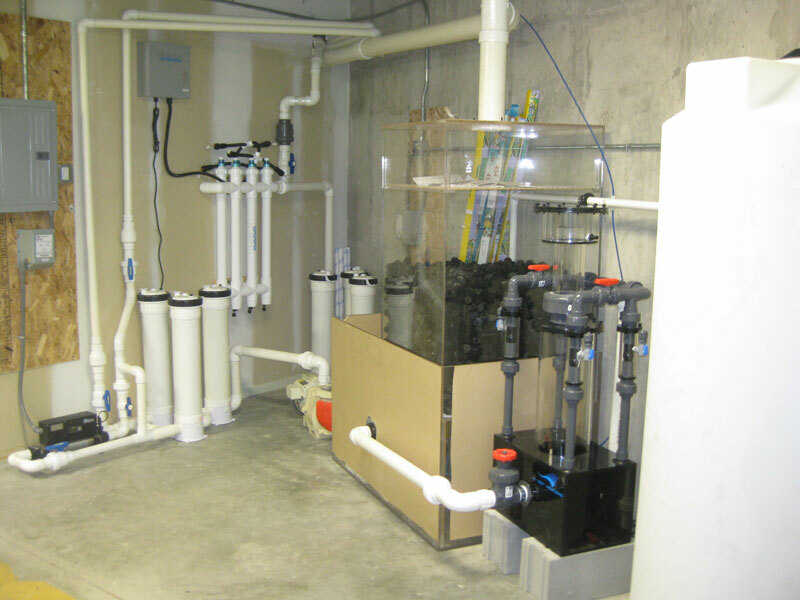 We can also provide a complete filtration system with all components for the customer who does not have the knowledge to do it themselves. 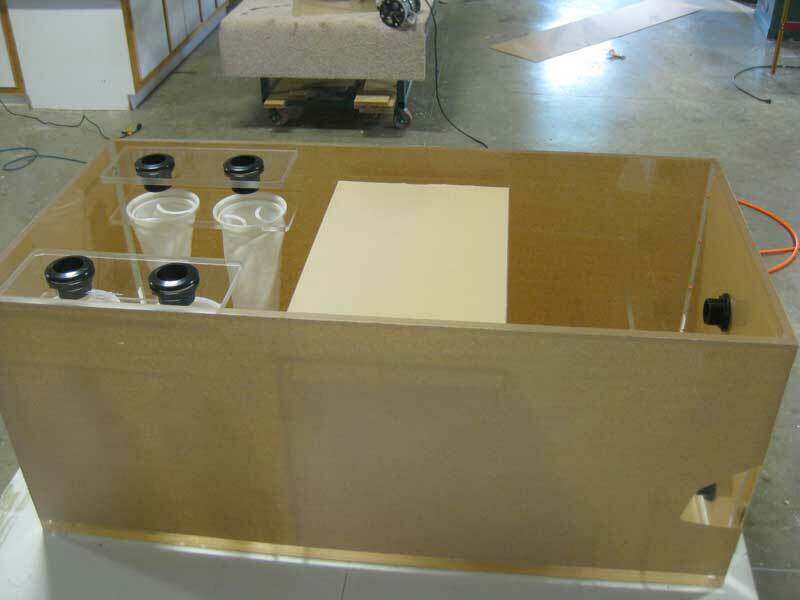 Some examples are pictured below with a very brief description.